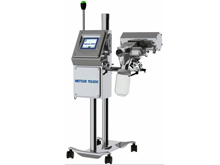 The pharmaceutical metal detector is manufactured in compliance with FDA 21 CFR Part 11, GMP, GAMP4, as well as the processing demand of the pharmaceutical industry. With sophisticated detector coil technology and the improved of the filtering technology, the product we offer has good sensitivity to all kinds of metal like ferrous series, non-ferrous series, and the object that is normally difficult to be detected, for example, the non-magnetic stainless steel. Equipped with Tablex detecting system, the nonspherical contaminants like wire sieve, swarf and the metal filing can also be detected with this machine, which is a technical problem that is difficult to break through for other pharmaceutical metal detector manufacturers. Moreover, the advanced coil design and the software adopted also provide excellent on-line stability for the machine in preventing the good product being rejected and the false triggering of the machine. The product features a membrane key panel with easily operated menu-driven operator interface. So, it is very easy for you to set up the daily detecting procedure. Meanwhile, due to the software platform with signature proof, the control on the inspection procedure is maximized. The built-in performance management software will offer an indication when the scheduled system testing is finished. With the PV software, staff will be guided to set the testing procedures step by step to obtain perfect detecting effect. Additionally, the pharmaceutical metal detector is produced with the reject confirmation software to monitor the reject control system. In case the reject system fails to operate as scheduled, the system will send an alarm. This machine is made of polished stainless steel. Therefore, it can be used in different environment to meet the daily production need. This product is provided with flexible structure. The smart base makes it suitable to be installed in the pharmaceutical plants with limited space. With four castors on the base, it is very easy for you to remove this machine. Additionally, the three axes of the detection head can be adjusted to suit the process equipment with different configurations. The reject system of the pharmaceutical metal detector can be easily assembled and disassembled. No extra tools are required. With the removable electrical element, the parts that contact with the detected object can be full submerged in the water for cleaning. Benefited from the remote management, the changing of the setup, as well as the remote monitoring can be realized both, such as the communication on the event related to reject data, performance test, faults and warning. The pharmaceutical metal detector is designed with the function of recording the performance data, testing procedure, etc. Therefore, with this machine, it is available for you to monitor if the operating procedure conforms to FDA 21 CFR Part 11. FEIYUN, as a professional pharmaceutical machinery manufacturer, provides a wide range of pharmaceutical equipment which is manufactured in compliance with cGMP standards. The catalogued machines include pharmaceutical metal detector, capsule polisher, medicine pack blister packaging machine, medical high purity nitrogen generator, capsule filling machine, tablet coating machine, just to name a few. For high quality pharmaceutical machines with different functions, please send us message and we will recommend the right models for you.